It’s been awhile since I updated my Lending Club performance, so I thought I’d take a moment today and let you guys know what’s going on. As I’ve mentioned in the past, I haven’t been adding notes to my portfolio this year. Instead, I’ve been pulling the cash out to our savings account as payments come in. In terms of performance, our net annualized return (NAR) currently stands at 7.86%, which is a bit lower than the 8.30% that we were enjoying as of last May (when I last shared the numbers). According to Moneydance, our “real-world” performance has been a bit lower, right at 7.60% — this difference is mostly due to idle cash. So we’ve suffered six additional defaults in the past five months. The good news is that the later in its life that a note defaults, the less we lose. Thus, even though the defaults continue, they affect us less and less (on average) as our portfolio ages. As for why we’re not adding any more notes… I’ve been too busy to put much time into note selection, and I’ve also decided that peer lending just doesn’t have the right risk-reward balance for our needs. In other words, we’re taking on a good bit of risk (as evidenced by the numerous defaults) with a relatively limited upside. I have 67 loans, 5 of them are charged off and 2 late (about to be charged off) – I’m not thrilled about approaching 10% default and I’m not buying anymore. Will report back when I’m finally out of lending club. I used a Lending Club loan to refinance a motorcycle loan that they put without my knowledge on a revolving credit card account not a traditional installment loan. Lending Club has been great! Now that I have additional money to invest outside of my IRA and 401K I’ve wanted to return the favor and invest through Lending Club, however, I live in one of the few states that does not allow P2P lending. I can be on the receiving end but not the lending side. I’ve been waiting a few years for the laws to change.. Still waiting..
What is the tax situation around individual notes – how do you report/file taxes with Lending Club? I am right with you. After deciding peer lending really wasn’t my cup of tea, I have been pulling money out over the last year. I’m just waiting for the rest of my notes to mature. Luckily, I haven’t had any defaults since I was very conservative with my lending. 2 years in now and a NAR of over 12%. I only buy on the secondary market and sell nearly all at a mark-up. I’ve refined my system to take some of the labor out of it but still requires a lot of effort…but if you monitor the credit ratings of each note each month and dispose of the negative trenders early and often, the returns are consistently above all other options I have. More time = higher return. I haven’t been adding to this account. I’ve opened a Roth with Lending Club and following the same strategy in that account as I did in this account. My oldest loan in this account is 18 months. The newest loan is 6 months old. I’ve been very happy so far. My only wish is that there were more loans to choose from. My strategy limits the loans I can invest in. I have 10K in my Roth and it’s taking forever to get it invested. To anyone interested in lending, I suggest you download all of the Lending Club data and put it in a spread sheet to analyze it. Don’t look at current loans. Look at the loans that have been paid off or charged off. You can’t just look at Net Annualized Return, because that includes current loans. My current sentiments with respect to LC are that the potential returns are not worth the risk nor the time, and that the quality of potential borrowers has declined. I have not added any funds in several months, and I withdraw cash as payments come in. I do reinvest in loans in my SIMPLE IRA with LC, only because I’d have to sell all of my holdings to get out at this time. Here are my current stats, if you believe LC stats…both accounts were opened in early 2009. My non-payment loans are currently over 12% of my portfolio, compared with your 8%. I also started divesting earlier this year for a number of reasons. While 5% is a decent return in the current market, the time it takes, and the risk/reward are not good enough for me. I’m disappointed that LC continues to make it less transparent for investors, and once I started looking into the tax situation around individual notes, I realized I was heading for a major headache. Instead, I’m paying down my student loans faster and investing faster in mutual funds. My last few grand of loans is only 0.25%, but I’d rather have the sanity of being debt-free than free money. After a number of times trying to reset my password there, I am just giving up on that site. Zero customer service. I put in about $500 last spring. I’m in New Jersey and cannot invest in new notes so I have to buy off the secondary market. Anyway I planned to buy 20 $25 notes. Well, it was taking about 15 minutes per note to figure out if I wanted to invest. I got tired of doing it and only ended up investing $250. The other $250 is still sitting there in cash. I just can’t get the energy to go in and invest the rest. To sum up, I’m just not willing to put in the effort for this. I like the idea, but in order to spread out your risk over several notes, it requires a good amount of time. I’ve been pulling my money out of it as the loans are paid, the risk/reward aspect has changed my mind on it. I’ve had 1 loan go late that I sold for 75% of the remaining balance and I have 1 currently that swings from missing a payment to making a double payment. Right now, I’m putting my extra cash into items I know I can flip for a profit (eg: I bought 5 sets of the 25th Anniversary American Silver Eagles for $1500, they are currently going on eBay for $3500). The $1500 in my example has collateral against it (25 oz silver) and before I bought the sets I had offers for $400/set. Thanks for the detailed reply. I can’t see any problems with the assumptions, but as you say the small sample size may not be indicative of a real trend. 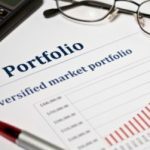 From my experience I have found the high-risk notes to be worth it – but I am only about nine months in from changing my strategy. I filtered my loans to only invest in those high interest loans that defaulted at a much lower rate than the average and so far it seems to be working. But these loans are still young so it is too early to know for sure. But as each month passes and I get more principal and interest back the high interest loans look like a better bet. Peter: I would love to be able to answer your question, but Lending Club doesn’t provide NAR on a per-portfolio basis, and I haven’t been tracking it like that so I can’t put a specific number on it. 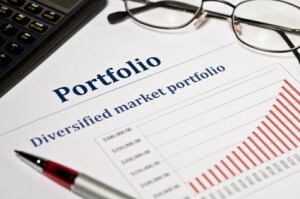 The avg rate in the low vs. high portfolio was 9.85% vs. 15.05%. Small sample size, but 2.5x as many defaults in the high risk. Of course, the impact depends on when they occur (earlier is worse than later), etc. I’m also ignoring the 3 late loans in low risk when I look just at the defaults. But if we make (overly) simplifying assumptions, we can do a little math. All loans were an equal amount, so lets just $1 each for simplicity – it was really $25/each, but the math works out the same. If we further assume that all defaults happened right away, and that no more will happen, then we have an initial portfolio value of $18 for the low risk and $15 for the high risk. Now if we apply three years of compounding at the NAR, the low risk will grow from $18 to $23.86 and the high risk will grow from $15 to $22.84. Of course, that compounding assumes reinvestment of payments, etc. but… Just on the face of things, it doesn’t look like I’m being compensated for the extra risk. I should also note that the defaults happened earlier with the high risk and later with the low risk which expands the divide — i.e., those high risk defaults hurt more because the balances were higher. It’s also a relatively small sample size, so you can’t read too much into it. Does the above make sense? Do you buy this argument? Feel free to poke holes are tweak the assumptions or the math. Thanks for the update. My question for you is this. You wrote about your high risk/low risk portfolio some time ago. I would be curious to know the difference in return for both portfolios. Are you being compensated for taking more risk with the high risk portfolio? As for me I have several accounts at Lending Club (and some at Prosper, too) and I have been really pleased by my returns. My returns range from a low of 7.5% on my older, more conservative portfolio to a high of 18.5% on my shiny new Roth IRA (investing only in loan grades D-G) that I opened in May. 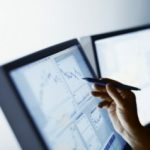 Paul: While I agree that taking a small loss is better than taking a bigger loss, it’s not particularly easy (in my experience, anyway) to sell bad loans on the secondary market. I’ve done it before, but with limited success. And for good reason, I think — I’ve also been a buyer on the secondary market, and I tend steer clear of of obviously bad loans. Perhaps I could have done this if I listed them during the 16-30 day period, but many of those loans recover. If I had more time to keep track of these things, I could probably figure out a discount rate that balances against the probability that a loan will go back to looking good. The bottom line is that this just isn’t a big enough part of our portfolio to be worth jumping through those hoops, and I’m not willing to invest a bucketload more money to make it a bigger piece of the pie. Who would want to buy those toxic loans? I wouldn’t. I continue to reinvest funds, but have not added new funds in about 6 months. For similar reason: Just don’t have the time to shop notes all day, and I was annoyed with the changes in questioning that make everything much more vague. All in all still enjoying it as an experiment, but not a place I intend to put a substantial amount of money. If you have loans that are starting to look bad, why not sell them off in the secondary market at a discount? Taking a small loss on the sale would be better than losing all the money to a default, right? Are there other factors that made you decide not to sell those bad loans off?